This Volvo V60 is available in Silver, Black, White, Red, Blue other colours and lease options, subject to availability and includes a warranty. The brand new Volvo V60 depending on the model comes with convenience packs and heated front seats, premium options, tints and 17" Njord alloys. Either come with Black & Cream half leather, Black T-Tec or Beige leather. Which Volvo V60 are you going to lease today? We offer top quality Volvo V60 from brand new, nearly new, slightly used or ex demo, whether you have good or poor credit rating, pay a low or no deposit. These Volvo V60 can be leased or financed and come with a warranty, HPI checked and when contract hire leasing, include UK nationwide delivery and AA or RAC Roadside Assistance cover for peace of mind. 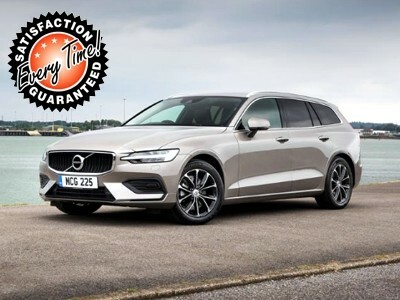 Time4Leasing can offer you the latest Volvo V60 lease deals at lower prices because these vehicles are exclusive and offered at lower rates to customers that have good, poor or even bad credit history score ratings. There are 26 Volvo V60 Lease Deals on Offer.